Your car is one of your most valuable possessions. It is important to entrust it to a professional, experienced and expert repair shop, especially after an accident. 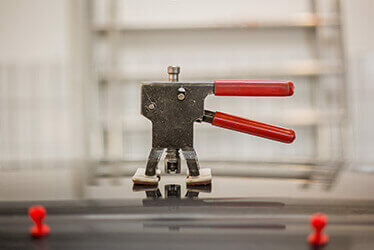 Auto collision repairs can involve different processes and techniques, depending on the type of collision and the extent of the damage - meaning the work done on your car can be quite comprehensive. It is therefore essential to have a warranty on all repairs performed on your car. CARSTAR Champaign, IL stands behind their work and offers a 5 year nationwide warranty. We know how stressful vehicle repair can be and we want to give you peace of mind. Learn more about our auto collision repair and warranty offer here or by contacting our Auto Body Services in Champaign, IL. Car trouble is always painful, even more so when you're involved in an accident. Calling the guilty party's insurance company, filing a claim, getting referred to a repairs center, making an appointment, calling rental companies, etc. - it can all be daunting and frustrating. Here at CARSTAR #15423 in Champaign, IL, we like to make it easy for our customers. We take a comprehensive approach to auto collision repair through four simple steps: Assist, Assess, Repair and Deliver. We'll take care of tow services for you, and we'll liaise with the insurance company to get you in a rental car as quickly and as smoothly as possible. We'll run an extensive damage assessment and even disassemble the vehicle to look for hidden damage, followed by a detailed repair plan for you to review and approve. Our expert technicians will start working to fix any structural and body damage, paint and refinish your car and finish their work with quality control inspections. Last but not least, we'll complete post repair wash and full clean up, to deliver the car to you in top shape. We will also take care of all paperwork and national warranty. Often times, insurance companies will recommend an auto body shop for repairs after an accident or will very swiftly send you to one. But it's important to know that you have the power of decision and you should certainly look into finding the best auto collision repair center for you. There are many options out there, so be sure to research thoroughly, as this goes beyond a couple of reviews and convenience of location. Make sure you choose a center that specializes in collision repairs, is established with experienced and skillful technicians, but also has state-of-the-art equipment. You'll find all that and more at CARSTAR #15423 in Champaign, IL, including excellent customer service and assistance throughout the process. You don't have to be involved in an accident to get the great care that CARSTAR offers. We provide a range of additional services that can help you and whatever your car needs may be, to have you back on the road in a jiffy. 1. 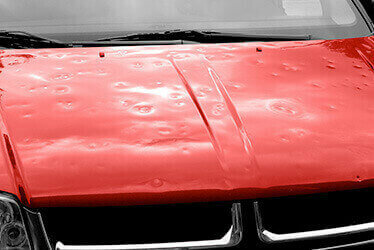 Hail Damage Repairs - Storms can be nasty and cause a lot of damage, but one thing you shouldn't worry about is vehicle damage. We will work hard to get your car in pre-storm condition and liaise with insurance to smooth out the process. 2. 24/7 Assistance - Whether you've been in an accident or you're just stranded on the side of the road somewhere, you can count on CARSTAR at any hour of any day. Call us 24/7 and we'll walk you through every step of the process. 3. Paintless Dent Repairs - If it's small but ugly dents and dings that keep you up at night, rest easy, we've got you covered. This solution is not only paintless, but painless too, as it's quick and affordable.